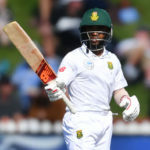 Temba Bavuma chats with Robin Peterson, Ramiz Raja and Mark Nicholas as they look back at the day’s play and how the Newlands pitch played throughout the day. 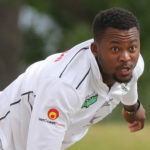 Temba Bavuma was cruelly denied his second career hundred, being left stranded on 95 when South Africa were bowled out for 488 on day two at the Wanderers. 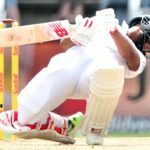 Temba Bavuma, who became a hero for the disadvantaged by becoming the first black African to score a Test century for the Proteas, is spreading his net wider. 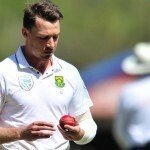 Dale Steyn has been selected for the SA Invitation team to play Zimbabwe from 20-22 December; his first extended match since November last year. 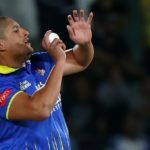 The Cape Cobras made it three Ram Slams in a row when they strangled the Warriors to win by 10 runs at Paarl. 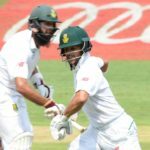 Hashim Amla and Dean Elgar have moved up the ICC Test Player Rankings after notching fine centuries in the first Test against Bangladesh in Potchefstroom. 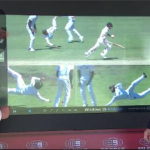 Mark Taylor and Ian Healy analyse Temba Bavuma’s amazing run-out which removed David Warner on 35 on day four at the Waca. 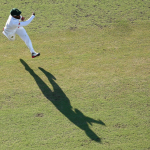 Temba Bavuma removed talisman David Warner with an exceptional run out as SA dominated proceedings on day four. 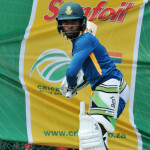 Temba Bavuma sticks to his trusted approach in training which helped him achieve a record-setting ton against Ireland on Sunday. 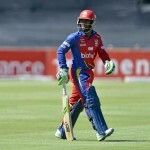 Why is Temba Bavuma being tested at ODI level before he’s been tested at domestic level? 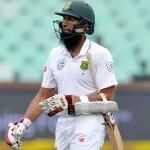 Losing wickets at crucial times has put the Proteas under pressure, says Hashim Amla. Australia A will go onto day three on 181-1, trailing SA A by 123 runs in their second four-day match in Townsville. Omphile Ramela and Stephen Cook hit half-centuries for South Africa A against Australia A to close the day on 203-5.